Today we are chatting about the signing habits of Hall of Fame members that played for the Los Angeles Dodgers. Jim Bunning – He only played for the Dodgers in 1969. This US Congressman from Kentucky is on the quirky side and is inconsistent but obtainable. You just have to catch in the right mood. Gary Carter – Like Bunning, he only played for the Dodgers for one year in 1991. Mr. Carter is very outgoing and loves to sign. He uses the demand for his autograph to help his charity, The Gary Carter Foundation. He charges $25 for each autograph but, it all goes to the Foundation. Very nice man. Sandy Koufax – Arguably the greatest left handed pitcher is a great signer. He is almost a recluse and very tough to find but, if you do find him, he will sign almost everything you want. He exudes class in every way and is an incredible human being. He carries himself in such a way that when you meet him, it’s obvious you are in the presence of baseball royalty. Tommy Lasorda – This Hall of Fame Manager is a fantastic signer. He is outgoing, loves to talk about the Dodgers and is super with fans. He will always sign at least one time for a collector. Juan Marichal – Another one year Dodgers player, only with the club in 1975. This former arch enemy of the boys in blue is very classy and a great signer. He is hard to find as he spends a great deal of his time out of the United States. Mr. Marichal is a very nice man. Eddie Murray – This Hall of Fame 1st baseman played for the Dodgers 189-1991 and again in 1997. He lives here in Los Angeles (the Santa Clarita Valley) and can be seen all of the time. He is very quiet, not very fan friendly and be tough to get. If he does give you his autograph count your blessings! Frank Robinson – Like some of the others, the great Hall of Fame right fielder only played for the Dodgers one year in 1975. He is very friendly and a very nice guy. The only thing is that he just doesn’t like to sign autographs very much. You can get him but it’s not often or easy. Don Sutton – This 300 game winner and Hall of Fame member is a great guy! He is very talkative and will always sign one item for a collector. He loves to chat about baseball and meeting him is a great experience. 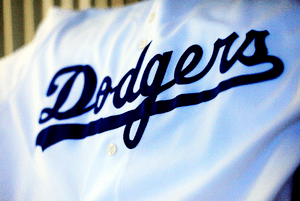 I hope you enjoyed today’s blog about the Los Angeles Dodgers. Check our my autograph web store www.autographedfirstdaycovers.com. This entry was posted in Uncategorized and tagged Frank Robinson, Hall of Fame, Jim Bunning, Juan Marichal, los angeles dodgers, Sandy Koufax, Santa Clarita Valley, Tommy LaSorda, United States. Bookmark the permalink.